On August 17, 2018, the U.S. District Court for the District of Columbia issued an order in NAACP v. Trump that partially stays its original order as to new DACA applications and applications for advance parole, but not as to renewal applications. This order means that there are no new changes to the DACA program at this time. It is still being implemented on the terms of the prior court rulings discussed below. USCIS will not consider first-time, initial applications or applications for advance parole based on a grant of DACA. It will, however, continue to accept and process renewal DACA applications, as well as initial DACA applications filed by individuals who have previously had DACA. Previously, the district court held that the government’s decision to rescind DACA was unlawful and vacated the termination of the DACA program, requiring the government to accept and process both new and renewal DACA applications, as well as applications for advance parole. The August 17, 2018 order does not change the court’s conclusion, but does continue the hold it had placed on its own order, which continued to bar processing advance parole applications and first-time, initial applications, at least temporarily. The Court stated that it “is mindful that continuing the stay in this case will temporarily deprive certain DACA-eligible individuals, and plaintiffs in these cases, of relief to which the Court has concluded they are legally entitled,” however that it was “aware of the significant confusion and uncertainty that currently surrounds the status of the DACA program.” Additionally, in their August 15, 2018 filing, the plaintiffs had not opposed keeping the stay in place for new applicants. 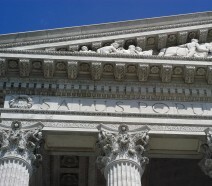 Citing both the potential for additional confusion and the plaintiff’s position, the Court agreed to preserve the status quo for the time being. Additionally, there was a preliminary injunction hearing on August 8, 2018 before U.S. District Court Judge Hanen in in a Texas district court. That case, Texas v. Nielsen, is a lawsuit brought by seven states, led by Texas, challenging the legality of the DACA program and requesting a nationwide injunction to block any DACA grants or renewals going forward. A decision on that hearing is still outstanding.